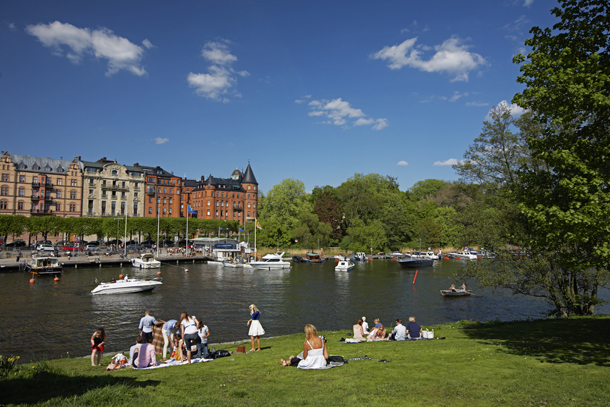 Welcome to Stockholm – a city for everyone! Stockholm is a city of contrasts. Trends in music, design, fashion, and technology are born here, and innovations that spread worldwide are invented here. Stockholm also has a rich history comprising gorgeous architecture, museums, the Royal Palace and the medieval urban core of Gamla Stan. Trendy bars and world-class restaurants are shoulder-to-shoulder with historic cafés and cozy neighborhood pubs. This is a city of modern galleries and exclusive department stores, as well as small boutiques and unique shops. Stages and arenas attract Swedish and international stars, and large and small events come one after the next. Stockholm is simultaneously urban and close to nature; water is an ever-present feature in this city where lake and sea meet. Parks and green areas abound, and the distinctive white archipelago boats travel to the islands all year long. The atmosphere is open, tolerant and welcoming, and diversity and innovation are encouraged. Stockholm is a city for everyone. We hope you have a wonderful stay with us!